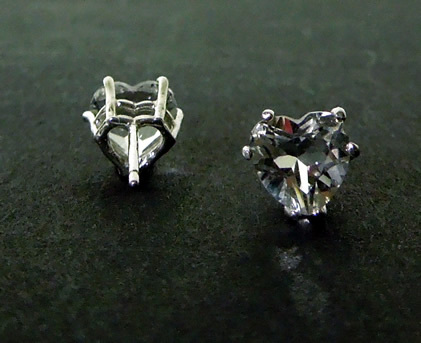 Notes: These heart shaped Herkimer crystal stud earrings sparkle beautifully. 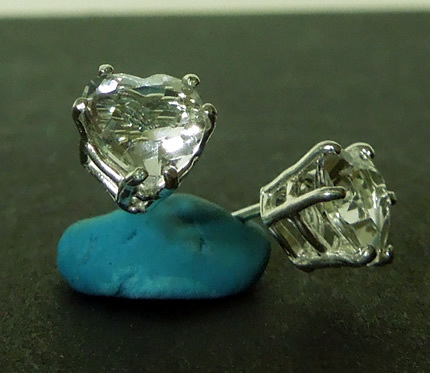 Each gem measure 7x7 mm, with a total weight of 2.5 ct. 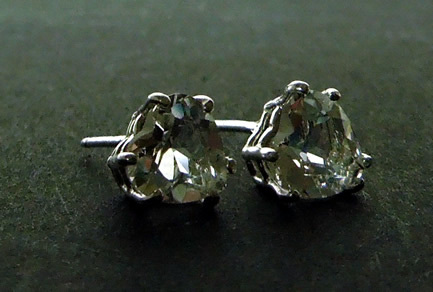 The Sterling Silver stud earring settings are a perfect compliment to the faceted crystals. 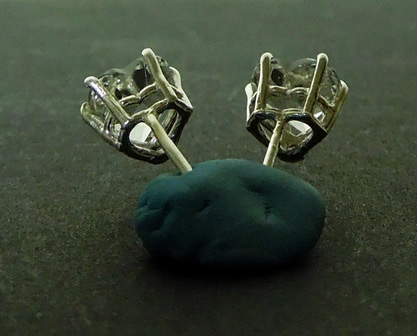 Silver ear backs, not shown, are included. 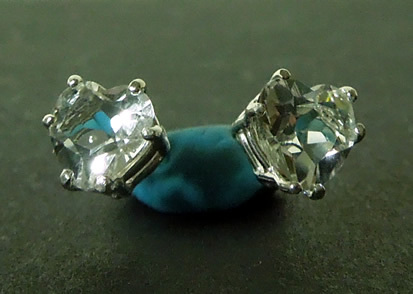 Sparkling clear Herkimer crystal post earrings.